The balloon festival held last weekend at Grimes Field is slated to return in 2019. Grimes Field was alive and bustling last weekend as it welcomed visitors to the Balloon Fest. “A Hot Air Affair” illuminated the skies at dusk, creating a kaleidoscope of color and mesmerizing the crowd below. A different balloon festival had previously been staged annually at Grimes through 2012, and this year’s event varied somewhat from those festivals. Organizers hope to perpetuate the new festival in coming years after restarting it in 2018. Organizers report the rebirth of the festival was only possible with the crucial support of commercial sponsors. Platinum sponsors were Dave Kehl Chevrolet, Bundy Baking Solutions, Urbana Daily Citizen, the 106.9 “The Bull” Radio Station and 1st Choice Energy Services; silver sponsor was Bryce Hill and bronze level sponsors were Boldman Printing, Thornton’s Carpet & Interior, Urbana University, Security Bank, Henderson Land Investment Co., Vernon Family Funeral Home, Walter & Lewis Funeral Home and Urbana Place. “A sincere thank you for making it happen,” Event Chairman Elton Cultice said about the festival’s supporters. “Thanks, also, to Fricker’s Restaurant and Marco’s Pizza for sponsoring our eating contests and for feeding our pilots and crew. Our appreciation goes out to the Grimes Flying Lab, The Champaign Aviation Museum, and the Airport Cafe for extending your hours to accommodate the visitors. 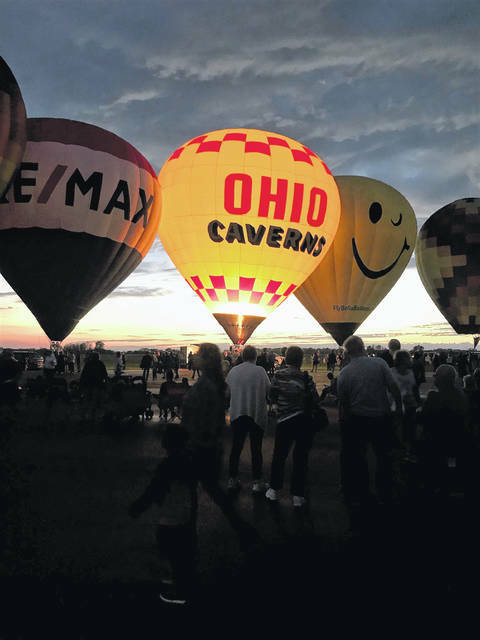 The Balloon Fest – “A Hot Air Affair” was the first event sponsored by the Grimes Field Foundation and the festival for 2019 is currently being planned.